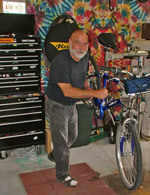 The way the people at Electra think shows in everything they do and in every bicycle they create. Electra has stood the test of time by staying true to the commitment to bring you the finest cruiser and comfort bikes in the world. Electra has always worked to marry great designs with the best technology available and create bicycles that are meant to be enjoyed, ridden and treasured, not just admired. Electra is more than just a pretty face. In the old days cruisers were very cool looking, very heavy, and very hard to pedal. Built only for a short cruise around the neighborhood. 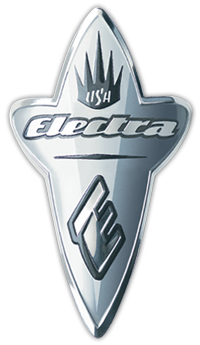 Electra's "Original Modern Cruisers" are an evolution of the classic designs that defined America in the 1940's and 50's. They kept the cool stuff; the style and the attitude and discarded the bad stuff; the weight and the lack of maneuverability. They began with the look, chose lightweight materials, engineered a better frame and then added state-of-the-art components. So now you can look great, ride comfortably for any distance and enjoy a classic Electra for life. Old-fashioned cruiser bicycles make anything other than a short trip a drag and mountain bikes are simply not meant for the pleasure of relaxed leisure riding. Electra's specially angled frames are ergonomically designed to keep you properly aligned in a comfortably, upright riding position. Although Electra's bikes look as good as the old classics, Comfort geometry makes them feel great too. That's because Electra's "mile plus" Comfort geometry gives you the smooth ride of a cruiser and the pedaling power of a modern bike. Test-ride an Electra and you'll feel the difference; with every yard and every mile they just get more and more comfortable. The internal hub houses the gears, bearings and brakes; the parts that when left exposed lead to mechanical failure, dropped chains, poor shifting, constant adjusting, maintenance and mess. Shimano put all that technical stuff inside their internal hub to protect it so that you can enjoy your bike without worry or problems. This very advanced system also gives you the most precise and convenient shifting available. 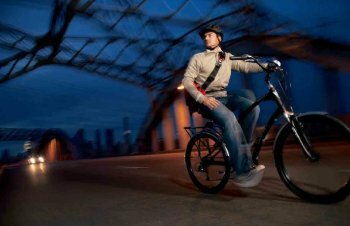 Now you can have the pleasure of multi-gear Electra ride with ease comfort and seamless gear changes even standing still. Pretty smart, huh?